Eco-friendly gDiapers products are a favorite here at Inhabitots. We love everything from their flushable diapers and washable gCloth diaper inserts to their stylish diaper cover options ranging from summer frills to patriotic to sophisticated! 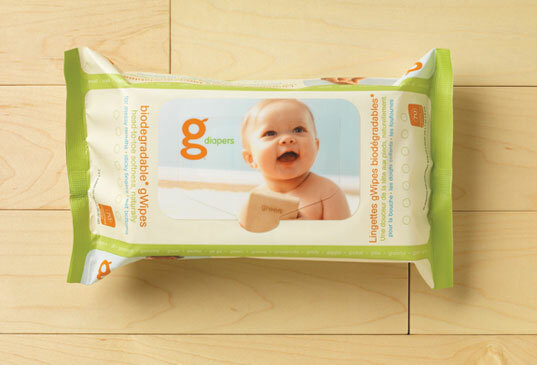 And the company has just launched another boast worthy product: biodegradable gWipes baby wipes. gWipes are hypo-allergenic, as well as fragrance-, chlorine-, and alcohol free, and they help clean babe’s tiny tush with a hint of Aloe vera and vitamin E. gWipes are made of cellulose pulp and regenerated cellulose, and wet wipes may be home composted. Eco-friendly gDiapers products are a favorite here at Inhabitots. We love everything from their flushable diapers and washable gCloth diaper inserts to their stylish diaper cover options ranging from summer frills to patriotic to sophisticated! And the company has just launched another boast worthy product: biodegradable gWipes baby wipes. gWipes are hypo-allergenic, as well as fragrance-, chlorine-,� and alcohol free, and they help clean babe's tiny tush with a hint of Aloe vera and vitamin E. gWipes are made of cellulose pulp and regenerated cellulose, and wet wipes may be home composted.